A 10-year partnership to enhance the welfare of cocoa farmers and communities and to guarantee the sustainability of quality cocoa. In 2008, the Cadbury Cocoa Partnership was launched to encourage the development of thriving cocoa communities in Africa, Southeast Asia, and the Caribbean. The Cocoa Partnership is a £45 million ($73 million) commitment to sustainable cocoa farming. Through this initiative, the Cocoa Partnership will promote sustainable livelihoods for one million cocoa farmers; increase cocoa crop yields 20 percent by 2012, and 100 percent by 2018. To date, the partners are working in over 100 cocoa communities in Ghana to provide the necessary training and technical skills, to provide access to finance, to improved community infrastructures, and to promote new business ventures.Moreover, the partnership provides farmers a dimension of fair trade. Working with the Fairtrade Foundation, the communities will benefit from the fair certification that can guarantee a fair price of their beans. In return, communities commit to source their produce to Cadbury Diary Milk bars. 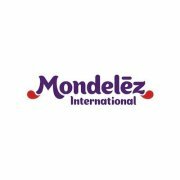 Mondelez International is a snack manufacturing company. Incorporated in 2005, the company manufactures and markets food and beverage products for consumers in approximately 165 countries globally. With offices in 80 countries, the company operates five segments: Latin America, Asia Pacific, Eastern Europe, Middle East and Africa, Europe and North America. Mondelez International believes the financial well-being depends on the well-being of the planet. As part of this strategy, we recently unveiled the Call for Well-being, a holistic approach to improve the well-being of the planet and its people – from farmers to consumers. The Call for Well-being focuses on four action areas, each with clearly defined goals to make a positive impact on the business and society. Empowering consumers to snack mindfully - Empowering consumers to snack mindfully: Mondelez International has a two-pronged approach. Securing sustainable agricultural supplies of key commodities and reducing the environmental footprint - Mondelez International helps farmers create thriving communities with a 10-year, $600 million investment in the Cocoa Life and Coffee Made Happy signature programs. Mondelez International is also promoting biodiversity and good environmental practices through Harmony, the successful European wheat-sourcing program. By 2015, Mondelez International will cut energy, waste, and water use by 15 percent, eliminate 50 million pounds of packaging and have 60 percent of the production from zero waste to landfill sites. Keeping consumers and the employees safe - By 2015, all of the manufacturing facilities will achieve third-party food safety certification. Investing in communities - Over the next several years, Mondelez International is investing $50 million in community partnerships to promote healthy lifestyle programs, focused on nutrition education and promoting active lifestyles. Kraft Foods Group, Inc. is one of North America's largest consumer packaged food and beverage company, with revenues of approximately $19 billion in 2011. Newly public and independent as of Oct. 1, 2012, the new Kraft has the spirit of a startup and soul of a powerhouse. The company has an unrivaled portfolio of products in the beverages, cheese, refrigerated meals and grocery categories. Its iconic brands include Kraft, Maxwell House, Oscar Mayer, Planters and JELL-O. Kraft's 25,000 employees in the U.S. and Canada have a passion for making the foods and beverages people love. As a food company, we’re dependent on the earth for the ingredients we use to make our products. Unfortunately, the world’s natural resources are limited and increasingly in demand by an ever-growing population. So, it’s critical that we run our business in ways that are environmentally, socially and economically sound and sustainable over the longer term. We’ve made great progress, but the dynamics are ever-changing. That’s why we regularly step back and take a look at how we source, produce and transport our products to find opportunities for continued improvement. To maximize our efforts, we focus on the areas that are most important to our business and where we can make the biggest impact: agricultural commodities, packaging, energy, water, waste and transportation/distribution. We set goals for each area, track our progress and hold ourselves accountable. As much as we can do on our own, we can do even more with others. Partnering allows us to share funding, training and know-how. This collaboration boosts scale and accelerates development and change in more areas, more commodities, more quickly than if we were to go it alone. Success requires vision and determination, great partners and seizing opportunities—from farm to fork. It’s a journey. It’ll take years. But we’re in business for the long-term, which means we can’t afford not to be invested. And done right, we know building sustainability into our business is good for the planet, people and, ultimately, our profits.